Image by Adikos on Flickr. Some rights reserved. Danny Roberts is a sports journalism student at Leeds Trinity University College and tweets from @DannyRoberts74. In the post below and others to follow he hopes to help people, through his own experiences and those of professionals, to further their study and get that little bit closer to becoming a successful journalist. 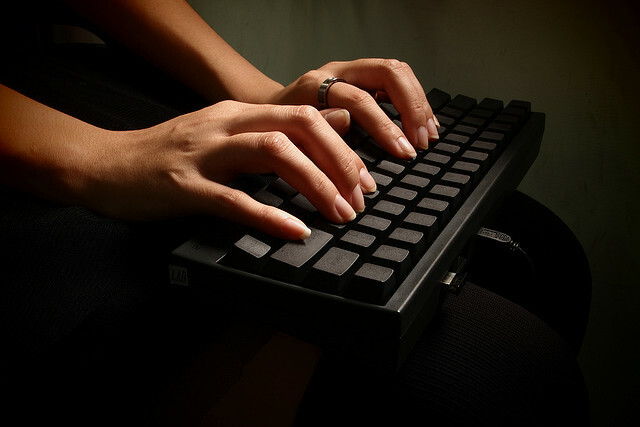 One of the many tools available to aspiring and professional journalists alike is a blog. A blog could help you on your way to gaining a lot of writing experience, help to build an audience, make yourself known to potential employers and even possibly make some money in the process. A blog can be defined in many ways, but is usually described as a log that is available on the web. ‘Web log’ is where the term ‘blog’ is said to originate. So, what can a blog be about? A blog can be about anything that the author is interested in. With the ability to add text, images, video and links, a blog can be a place where you can share your feelings, views and favourite things with the internet population. There have been previously reported cases of journalists who have credited a significant part of their job hunting success to their blogging activities. So it is a good starting point for a journalist’s portfolio to say that you have a blog that you are passionate about, update regularly and that has a big returning audience. Who can blog and how do I go about setting one up? Anyone can blog. That’s the beauty of the internet! As long as you have a view and are passionate about something you can blog to your heart’s content. Many sites allow you to set up blogs but two of the main ones are WordPress and Google’s Blogger. It’s easy to set up and edit, simply enter the name of your blog and your details and you’re away. Blogs can make money in a few ways, there is the chance that a company may pay you to maintain a high-quality blog that tells potential customers or clients about the company and its latest news. It is likely that this will be on a paid-per-post or paid-per-word basis. The other main way is through advertisements, with money made through people clicking on links at the side of the page. Google has it’s own Adsense that can be added to help you with this process. I was lucky enough to meet Christian Payne (@documentally) who attended Leeds Trinity journalism week, as a guest speaker, a few months ago. Besides running a very popular blog, he is a freelance “mobile media maker” who also specialises in social technology and connected platforms. He jokes on his site: ‘If you don’t know what that means then it is a good reason for hiring me.’ In his work Christian helps to create multimedia and offers photojournalism, PR, imagery, video and podcasting among other things. I emailed Christian to ask if he could help out with this blog post and he was more than happy to oblige, even though he had just had surgery. (Which of course, he blogged about!). Blogging behind the alias Documentally at Documentally.com, Christian is able to blog about his everyday life to his many followers. For me, my blog is an interactive calling card that not only introduces people to what it is I do, it’s a place where I can nurture a community of like minded people. A social network is often built of people who share a common interest. This year, Documentally has become sponsored. His views are respected enough that Scottevest sponsors his clothing and his international mobile data is sponsored by Vodafone. This means that he receives products from companies to test out in exchange for an honest review or to test how much data a blogger uses abroad. This comes with a wide audience that companies wish their products to be advertised to in review. To add to this, he gets paid to document, talk and run workshops. He now has a great Twitter following of almost 21,000 at the time of writing. This has helped Christian connect with many people who share his interests. Therefore, blogging can lead to a career within itself as well as offering a platform to advertise your writing and documenting skills. Get your work out there circulating and who knows who will see it or what will happen because of it. Good luck! There are a number of blogs, including this one, which may be of particular interest to other student journalists and offer helpful tips, examples include the BBC College of Journalism or WannabeHacks. Feel free to recommend any other blogs which could be of use to journalists-in-training in the comments below. This entry was posted in Social media and blogging and tagged blogging, student journalists on August 15, 2012 by Danny Roberts. United Business Media’s PR Newswire service has announced the launch of a new service tailored for bloggers and other “self-publishers, online journalists and hobbyists”. The PR Newswires for Bloggers site offers customised news feeds, events listings and the opportunity for bloggers to attend press events and record video interviews with celebrities and industry experts. PR Newswire recognises the growing influence of bloggers and our goal is to make it as easy as possible for them to access the content, tools and information they need to develop their blogs and increase visibility. There are so many great blogs out there – and that list grows daily. Our goal is to highlight some of those blogs we find interesting or influential – which ultimately comes down to engaging content. Fortunately, there is no shortage of great blogs publishing just that so we shouldn’t run out of candidates any time soon. 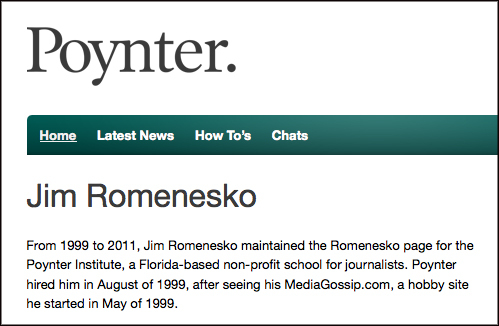 This entry was posted in Online Journalism and tagged blogging, PR, PR Newswire on April 20, 2012 by Paul McNally. What is it? 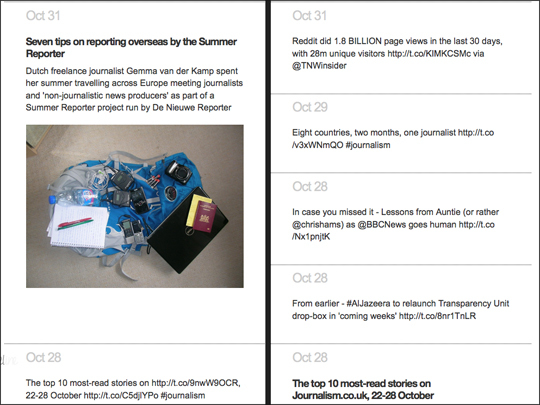 A new tool to turn tweets, blog posts and Instagram photos into a timeline. Add a Twitter handle, a Tumblr, WordPress and Posterous blog and an Instagram account and TimeKiwi will mash them into a combined timeline. How is it of use to journalists? For storytelling. The tool allows you to demonstrate how a story has progressed. The tool does not require you to authorise the app so you can add any Twitter handle to see how that person’s tweets have played out over time. Take this example of a timeline of canon Dr Giles Fraser who resigned from his role as chancellor of St Paul’s Cathedral last week over plans to forcibly evict Occupy protesters. Adding his @giles_fraser handle allows you to show his tweets as either a vertical or horizontal timeline. The free version of TimeKiwi cannot be embedded so it is of limited use in telling a story on your site but you can still share links to created timelines. A “business” version is in the pipeline which promises an embed feature and custom views which could be of particular interest to journalists who can then show mapped out tweets and blog posts within a news story. This TimeKiwi takes in the @journalismnews Twitter account and the Journalism.co.uk WordPress blog. This entry was posted in Handy tools and technology, Social media and blogging, Tool of the Week and tagged blogging, instagram, Posterous, social media tools, TimeKiwi, timeline, Tumblr, Twitter, wordpress on November 1, 2011 by Sarah Marshall. According to Reuters, athletes due to perform at the 2012 Olympics in London, have been told they can blog and tweet about their experiences of competing in the games, as long as it is “not done for commercial purposes”. The decision comes from the International Olympic Committee, Reuters reports, which was said to actively encourage and supports athletes “to take part in ‘social media’ and to post, blog and tweet their experiences”. Bloggers and tweeters must, however, restrict themselves to “first-person, diary-type formats”, must not report on events in the manner of journalists and must ensure their posts do not contain “vulgar or obscene words or images”. According to the report, broadcasting of video and audio taken inside the venues remains banned but athletes may post videos taken outside the venues. The IOC gets much of its revenue from the sale of television and online media rights and is therefore highly protective of their intellectual property in that regard. This entry was posted in Broadcasting, Editors' pick, Multimedia, Social media and blogging and tagged 2012, blogging, Olympics, olympics journalism, social media, sport, Twitter on June 27, 2011 by Rachel Bartlett. The role of news aggregators was defended yesterday by journalists at an event for City University’s journalism students. Speaking at ‘Pimp My Blog’, Patrick Smith, Karl Schneider, and Tim Glanfield argued that news aggregators add value, rebuking claims by former Washington Post executive editor Leonard Downie Jr that news aggregators are “parasites living of journalism produced by others”. Glanfield, a former Times journalist and co-founder of Beehive City, echoed Smith and questioned whether newspapers added any value or helped readers by simply “copying each other’s stories over and over again”. “There are plenty of people who call themselves journalists out there who are basically just copying stuff from each other. Schneider, the editorial director at Reed Business Information, criticised newspapers for blaming their failures on others. “I think there are lots of examples of newspapers trying find someone else to blame, whether it is bloggers, Google, or Craigslist, it is always someone else’s fault,” he said. Schneider added that in the future newspapers will have to “fundamentally reinvent themselves” online, because the aggregation found in print does not make sense online. This entry was posted in Events, Social media and blogging and tagged aggregation, blogging, City University, Karl Schneider, news aggregators, partick smith, tim glanfield on November 24, 2010 by Rajvir Rai. An annual blogging conference in Shanghai was cancelled over the weekend due to pressure from the authorities, according to a report by the Wall Street Journal. The Chinese Blogger Conference reportedly normally attracts online commentators, digital artists and entrepreneurs, many of whom are said to be critical of government censorship. The decision to cancel is “the latest sign of tightening limits in China on free expression” WSJ reports. This year, organizers waited until four days ahead of the two-day conference’s planned start on Saturday to announce the venue, an office building in Shanghai’s Xuhui District, near Shanghai Jiaotong University. But the planned hosts reneged late last week owing to pressure from authorities not to let their venue be used for the conference, according to one of the organizers. Read WSJ’s full report here. This entry was posted in Editors' pick, Events, Politics, Press freedom and ethics, Social media and blogging and tagged blogging, Censorship, China, political, social media on November 22, 2010 by Rachel Bartlett. Does a blog still cut it for journalism students? [I]t is clear that a few years ago a blog really set you apart from crowd, but now with a plethora of people (including many who have no desire to become professional journalists) jumping on the bandwagon, standing out to the extent that the industry recognises you is becoming increasingly difficult – if not impossible. Unless you have stuck upon a totally unique idea it is unlikely that your blog will be the reason you get a job. Using myself as a case study, I blog about areas that interest me (sport, Asian issues and the media) and I do okay out of it, but I don’t for one minute think that a potential employer will be impressed enough with this site to offer me a job. If simply having a blog won’t cut it anymore, how else can journalism students make themselves stand out online? This entry was posted in Editors' pick, Training and tagged blogging, Jobs, journalism jobs, journalism students, rajvir rai, social media, Training on November 19, 2010 by Laura Oliver.